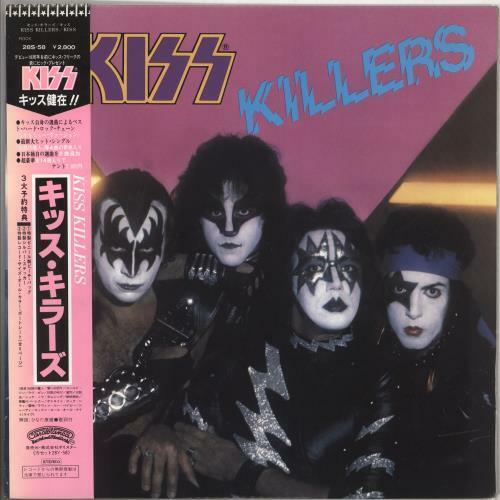 KISS Killers (1982 Japanese 14-track vinyl LP, including the exclusive songs Escape From The Island and Shandi for the Japanese market. Housed in the picture sleeve with Japanese / lyric insert + obi-strip. The sleeve shows hardly any wear at all and the vinyl looks to be almost unplayed).